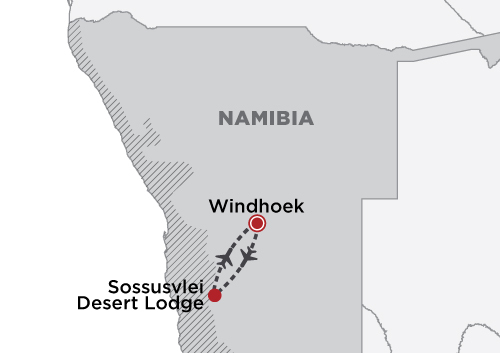 Days 1 & 2: Windhoek > Sossusvlei Board your light aircraft flight from Windhoek. 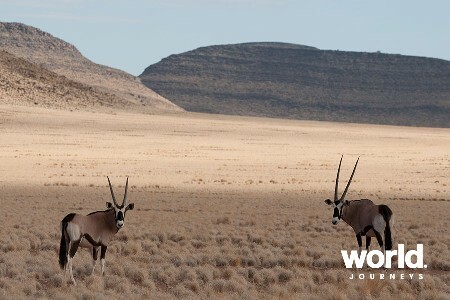 Transfer to &Beyond Sossusvlei Desert Lodge. 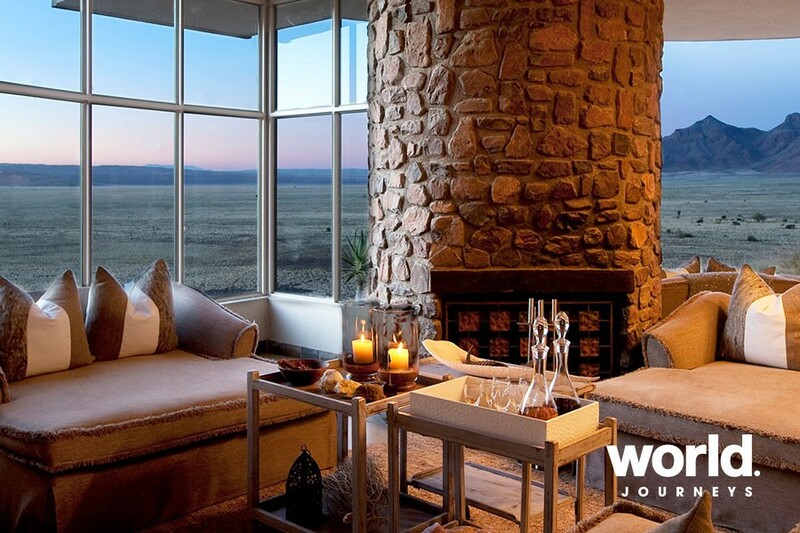 The 10 air-conditioned stone and glass desert villas are cradled against ancient mountains and designed to capture the splendour and solitude of the desert. 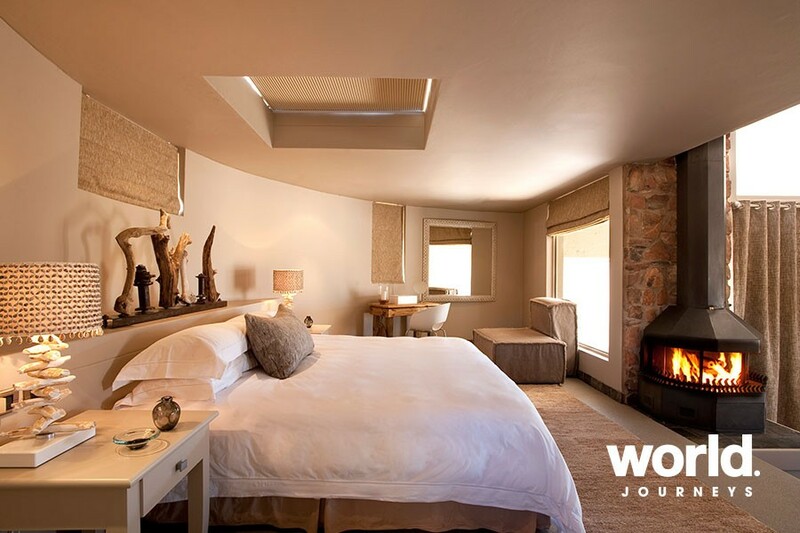 Furnished in hues of the desert, they feature a private veranda, split-level bedroom, living room with fireplace, ensuite glass-encased bathroom and outdoor shower. 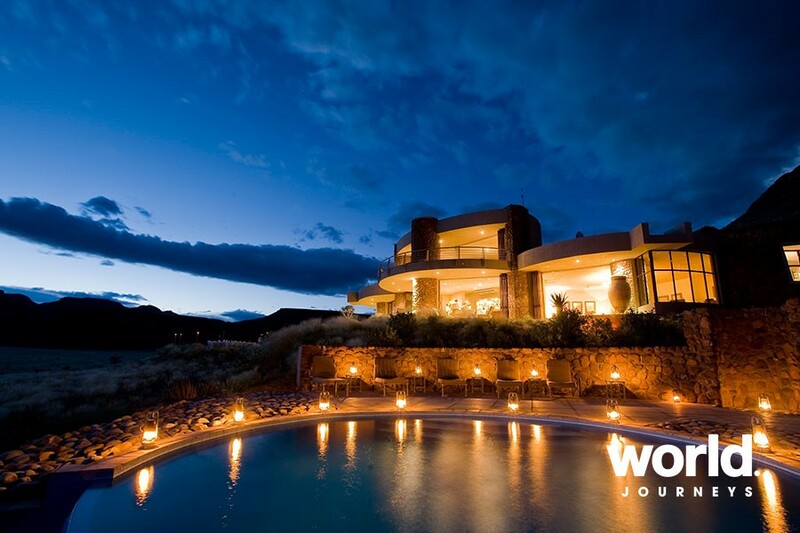 Villas are equipped with a stargazing skylight, discrete music system and well-stocked personal bar. 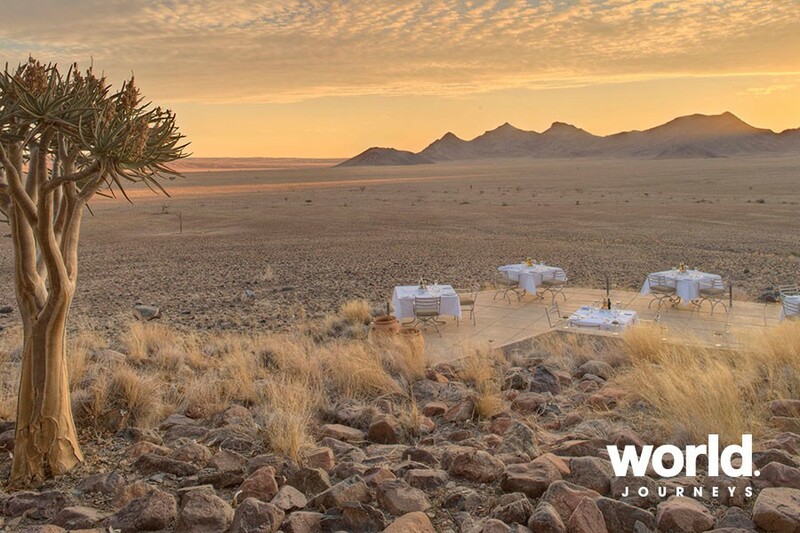 Activities include nature drives, guided walks, quad-bike excursions, an excursion to the Sossusvlei dunes, Sesriem Canyon & Dead Vlei, stargazing from the in-house observatory, petrified dunes and sand rock art. Day 3: Sossusvlei > Windhoek After breakfast, transfer to the airstrip and depart for your light aircraft flight to Windhoek. 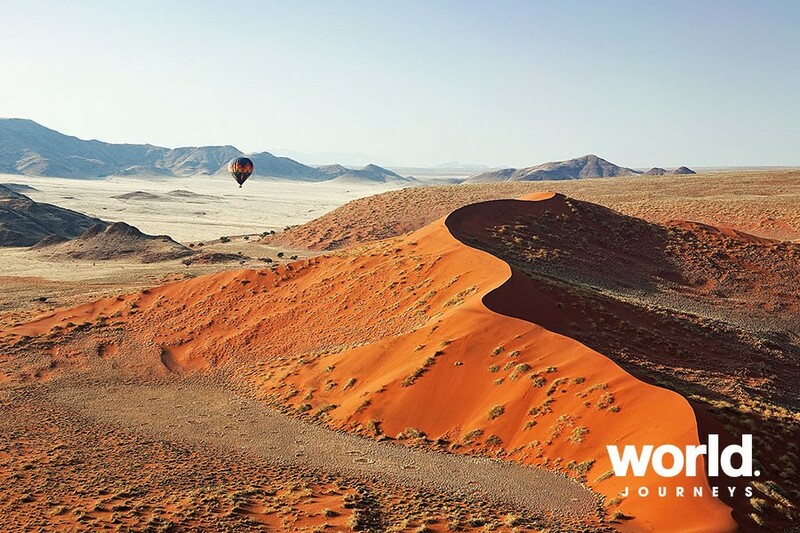 Stay 3+ nights and receive a free hot air balloon safari! 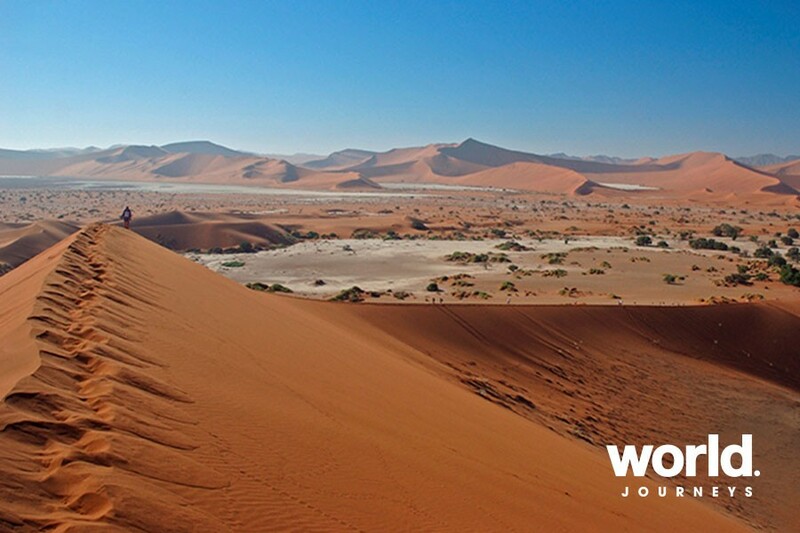 Stay for three or more nights and receive a free hot air balloon safari over Sossusvlei. Conditions apply, contact us for more details.